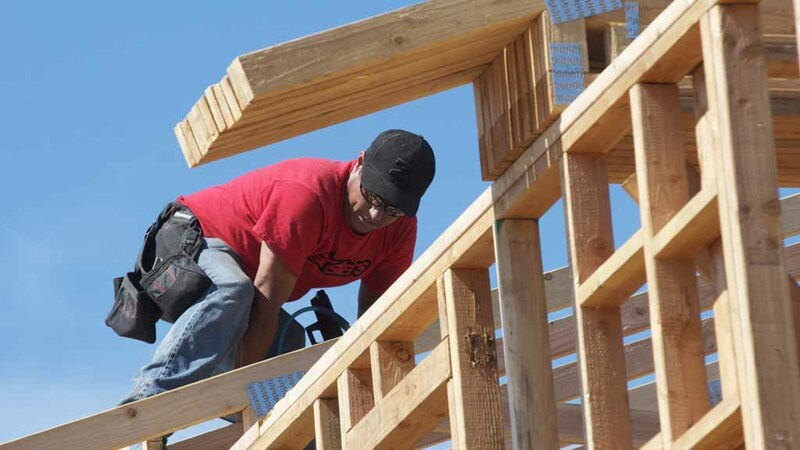 Volunteers from Lowe’s, Clark Construction, the Jimmie Johnson Foundation and the community in conjunction with Habitat for Humanity are spending five days to build four homes for the needy in El Cajon. Habitat for Humanity is scheduled Friday to dedicate homes built during this week’s construction blitz. Around 400 volunteers have built four houses from the ground up since Monday. The effort was supported in part by a $50,000 donation from the foundation of auto racing champion Jimmie Johnson, which was matched by the Lowe’s home improvement store chain. The project also received financial backing from the city of El Cajon and U.S. Department of Housing and Urban Development. Balfour Beatty Construction, Clark Construction, McCarthy Builders and RQ Construction are helping out with the effort, according to Habitat for Humanity. The new homes will be sold to families who qualify according to Habitat for Humanity’s selection criteria — which includes a demonstrated need for improved housing, the ability to repay an affordable mortgage and willingness to put in 250-500 hours of “sweat equity” by working on their homes and residences of other Habitat families.